I HATE it WHEN!!!!!! – Travel, Family & Fun rolled into one! 1. I’m reading a magazine and the subscription mailer falls out, every single time and when there’s more than one, OMG- drives me nuts! 3. I’m making grilled cheese sandwich’s and the plastic the cheese is wrapped in breaks off before its unwrapped, so frustrating. 4. YOU want to tell me to buy the kind of cheese that isn’t pre-wrapped, its worse, it clumps together. 5. Coffee Grinds, need I say more. 6. 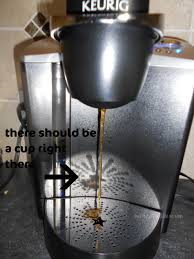 I forget to put the coffee cup under the Keurig, drrrrrr! 8. I feel sticky or really anyone, just grossssssssssssssssssssssssssssssssssssssssssssssssssssssssssssssssss. 9. A splinter, ouchie! The next day it hurts worse.